What is Destiny‘s Trials of Osiris? How do I beat Trials of Osiris? The Trials of Osiris is Destiny‘s latest PvP mode that launched with the House of Wolves expansion. The Trials of Osiris is gruelling because it offers a high-risk-high-reward scenario unparalleled in Destiny multiplayer. Live from every Friday to reset-day, the Trials of Osiris grants players a ‘Trials Passage’ that enables them to enter the Trials. Lose 3 games, and you lose your Passage. Win games and you’ll be able to unlock rewards on a tier-based system (3 wins gets a Bronze Package, 5 wins an armour piece, and so on). Win 9 games in a row – without a single loss – and you’ll get to travel to Mercury and visit The Lighthouse. Trials of Osiris is a 3v3 elimination game type, where you can revive your team mates until the entire team is dead, in which case the opposing team wins the round – first to five rounds wins. As such, success is based on a number of factors ranging from weapon load out to your position on the map; most important, however, is teamwork. Constant communication is absolutely paramount. Here are some tips to surviving the Trials of Osiris. Having a fire team with each class can’t hurt, because each has their merits. Because it’s down to personal preference and play style – you’ll play better with a class you’re used to, or you’ll eventually play with all 3 – here are a few tips to look out for on the enemy fire team; or to take advantage of for yourself. Warlocks are probably the most useful class in Trials of Osiris, simply because Sunsingers can self-revive. If I were to recommend a subclass from the Warlock, Sunsinger would take the cake simply because having one on your team can turn the tide of a battle where your team gets wiped. The Voidwalker is also useful as a team-wiping Super user; in my opinion a Sunsinger is more useful because of the self-revive, and the other classes can pick up on the team-wiping Supers. Depending on the map, each Hunter subclass can be used to great effect: the Gunslinger is useful on medium-to-long range maps with the Golden Gun, and Bladedancers can wreak havoc in smaller, close-quarters maps. Invisibility also helps on a Bladedancer when using a Sniper at long range or waiting around a corner with a Shotgun. The Titan also has 2 incredibly useful subclasses: the Striker subclass’ Fist of Havoc has an area-of-effect that can decimate an entire team if used correctly, and the Defender’s Ward of Dawn shield is incredibly useful for bunkering down and buffing weapons or shields. Both subclasses have their uses, and ultimately it comes down to your play style – the Defender class may be a better way to go, simply because running out into 3 enemies to use Fist of Havoc is a little too risky for a game like Trials of Osiris, where every death counts. Depending on your play style, you may prefer using a particular class of weapon over another, which is perfectly fine. In the first Trials of Osiris week, my fire team varied between a Scout Rifle, Hand Cannon, and Auto Rifle, so some variation is always good. Ultimately, your Primary weapon should come down to one that you are comfortable using, since you will most likely run with it for the majority of the matches. Exotics such as Thorn and The Last Word work very well, but Legendary Scout Rifles and Auto Rifles can be just as deadly in the right hands. There are always others, but these seemed to be the main contenders for Exotic Primary weapons. While Thorn is a great weapon in terms of damage, its biggest draw is the burn damage after hitting an enemy. While this does damage them well after they’ve retreated, it allows you to track their damage counter for a few extra seconds and keep tabs on where they’re going. Watch out for these players; get them before they get you. Red Death works well because of the elimination style of gameplay – the perk that allows the wielder to regenerate health after a kill is incredibly powerful. The Last Word is pretty self explanatory – it’s an intense Hand Cannon that should be watched. Secondary weapons, depending on the map, are usually best left with 1 or 2 Sniper Rifles, and the remaining running a Shotgun. This again comes down to personal preference, but it allows for some diversity no matter which map you play, and it ensures your team can effectively engage the enemy at any distance. Generally it’s best to go for broke with a Rocket Launcher when picking up heavy ammo, because by the time the enemy charges up their Machine Gun you already have a rocket flying towards them. Rockets that have clusters, such as Gjallarhorn or Hunger of Crota, are effective for when the other team is standing in close proximity, so it goes without saying that you should stay somewhat apart during the Heavy round. 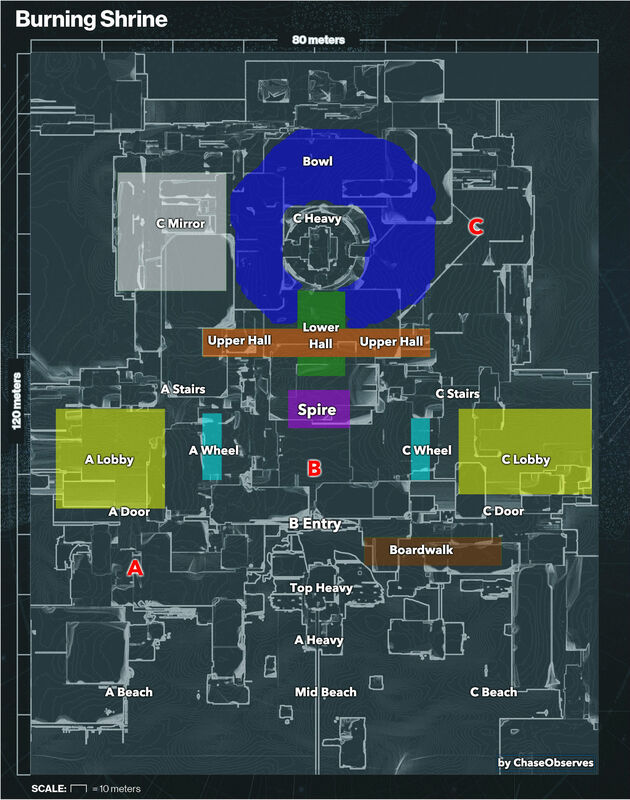 Learn the maps by playing regular PvP – some will have long sight lines and short hallways, others will have wide open spaces with few flanking options. When you play Trials of Osiris, take it slow with your team around each corner, and make sure you always have eyes on every possible approach to your position; whether you’re moving or defending. 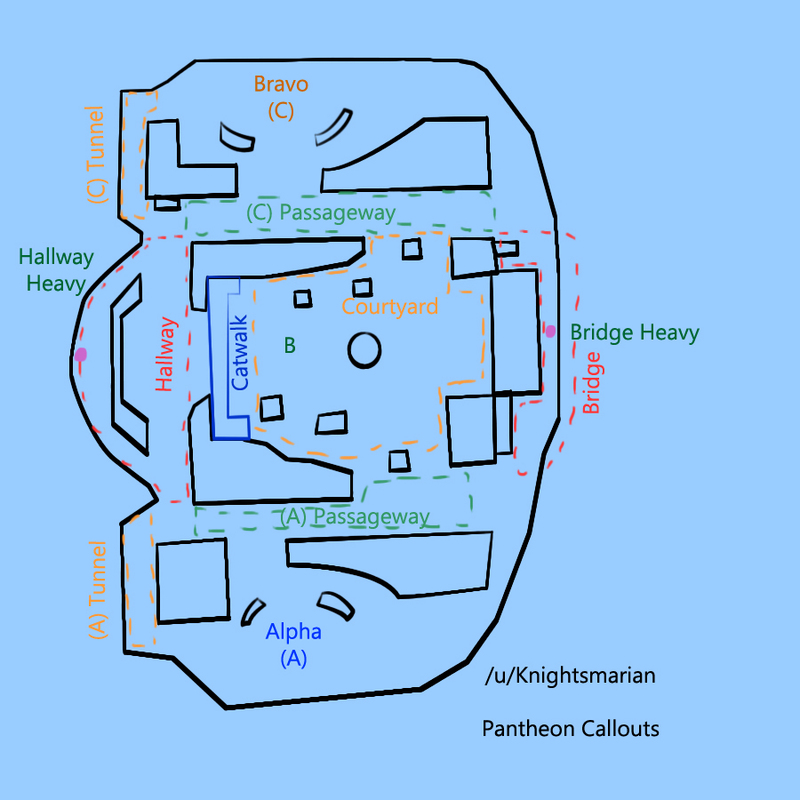 Click the following links for a rough overview of the map. Week 1: Burning Shrine, Mercury. Week 2: Pantheon, Black Garden. Communication is the crux of an entire Trials of Osiris match in Destiny, and separates the winners from the losers. Make sure everyone in your fire team has a headset with which they can communicate, and do so often. Communicate every move you make. Devise a direction and a loose strategy at the start of every round. Getting shot or engaging the enemy? Tell everyone immediately. If possible, provide information on what classes you see and what weapons the enemy are using. Let your team know when you are reloading, or when your shields are down. Keep constant tabs on where each member of the enemy fire team is, and tell your teammates. These tips basically boil down to: tell your team everything. There can never be too much communication in Trials of Osiris. Here are some general survival tips taken from my own experience, plus a few extra from Redditors Rob85M and Booger-T. Pick up the boons from the Disciple of Osiris. Those are incredible. Stay together, but with a good spread – if you’re caught off guard or have a Super shot at you when you’re standing too close together, then your whole fire team can get wiped out in a few seconds. If you have Thorn, it’s just as useful for tracking the enemy as it is killing. Reviving your teammates is a priority. When you kill someone on the enemy team, watch their Ghost carefully for the revive. If your Super is charged, chances are so are theirs. Keep a tally on which members of the other team have used their Super. 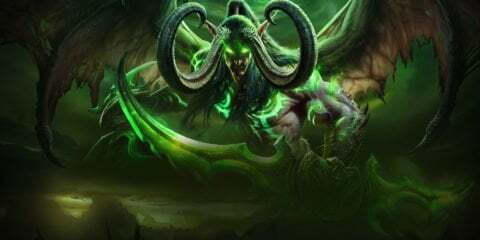 Use your Super sparingly – Warlock should only self-revive in a situation where the team wipes or they think they can win the round if they do so (generally try not to revive in the middle of the other team). Don’t use your Super in the Heavy Ammo round. If you’re fighting a Titan, watch for the rushing Fist of Havoc, and don’t bunch up. Ideally have your Secondary Weapon fully levelled for maximum damage. When a teammate dies, the enemy team will generally play more offensively. Try for the revive, but play defensively while you do so. Grenades always help to suppress. Be patient. Take everything slow, advance as a team, and watch your corners. If you can, try flanking while staying in close proximity. If the enemy team all have Sniper Rifles and your fire team is hanging out down the same hallway, chances are you’re dead. If one player sees a couple of enemies together – even with Sniper Rifles – call it and devise a strategy to flank them or flush them out. At least one player should always try to have eyes on the other team, even if it’s on their radar. Always keen an eye on your radar, and call it out every time. If there’s a guy far away that you think may not be worth killing, do it anyway. The more times someone dies, the longer the revive time becomes. Use grenades often: they’re especially useful for flushing, suppressing, and damaging when the enemy has retreated around the corner. After you down one member of their team, play the offensive, but stay wary. If you encounter any cheaters, let Bungie know. As the Trials of Osiris keeps going, we’ll add to this guide. If there are any tips you think should be added, let us know in the comments below.